Last April we set the roof on fire at the Energiehuis in Dordrecht during the concerts with Snarky Puppy. These 4 intimate and crowdfunded shows were recorded and in 2015 we’ll celebrate the release of the live album called ‘Sylva’. We’re celebrating by doing two live shows in Rotterdam, one in Paris ánd one in Coutances! The chemistry between band leaders Michael League and Jules Buckley was the key to success. They were able to melt the two ensembles into one powerful musical piece with funk, rock, cinematic and jazz influences. In cooperation with Good Music Company and Motel Mozaique we’ll be playing at the very modern Rotterdamse Schouwburg. A couple of days later, we’ll travel to theater L’Olympia in Paris and Jazz sous les Pommiers festival in Coutances. 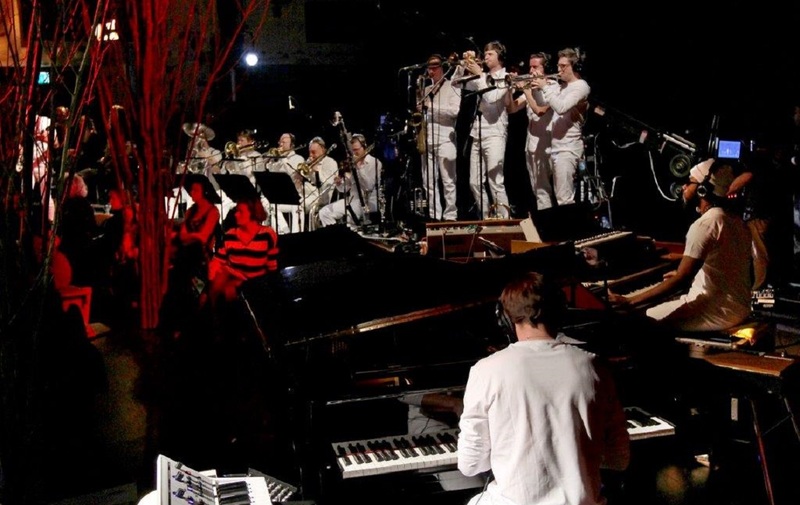 We are very much looking forward to the release of the album ánd another live experience with Snarky Puppy!